The members of the local EAA Chapter 99 are aviation enthusiasts first. There are some homebuilders, but not all of us and not all members are pilots either. What has brought us together is that we love being around aviation and talking about it. Application for Chapter status was initiated and received. However it appears the members did not file for incorporation until 1966. Earliest written records of the Chapter acknowledging receipt of stationery from EAA headquarters. Chapter decides to disband since interest was low. Fred Weick, one of the United States earliest aviation pioneers, was a lifetime member of EAA and a member of Chapter 99 until he passed away in 1993. In the late fifties Fred Weick started the Piper Development Center in Vero Beach (the winter home of the Piper family). In the early sixties Fred Weick started the development of the Piper Cherokee. At that time the manufacturing facility was started in Vero Beach to build the Cherokee. This was an exciting time that brought members, a 1965 J-3 Piper Cub and a Flying Club. The Chapter reorganized with Landis K. and Bill K. being part of the driving force. Incorporation was filed on 11/30/66. In those years, Chapter 99 had about 20 members. Chapter 99 had been reinstated. Chapter 99 adopted a first logo. Interest in the Chapter waned, some diehards persisted. Fred Weick passed away in 1993. With the help of the Weick family, the Chapter donated more than 61 items, among them Fred´s original drafting instruments, his flight bag, books, countless photographs, awards, medals and certificates to the Air Museum at Lakeland, FL. The exhibit was on display until 2009, when it was returned to Vero Beach. Chapter 99 revived with renting a hangar and moving into a permanent home and has been increasingly active since then. To read the details about the time starting 1966 until 2003 you can download Landis´ article in the Sport Aviation Magazine from Feb. 2003, "New Beginning Again". Membership had grown to about 60 members. 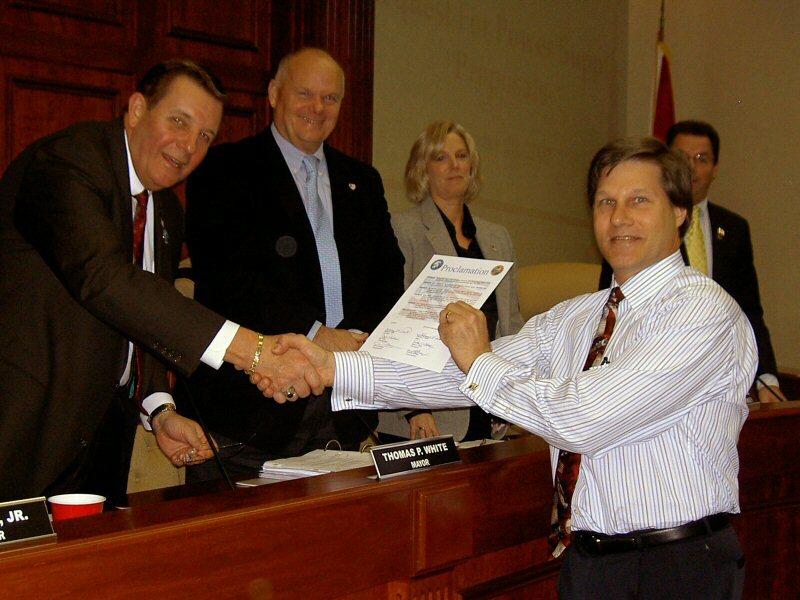 On Feb. 20, 2007, Chapter 99 received a proclamation from the City Council of Vero Beach for promoting and supporting aviation, vounteering to educate Boy Scouts and Girl Scouts, encouraging community awareness of aviation, and supporting the Vero Beach Municipal Airport. 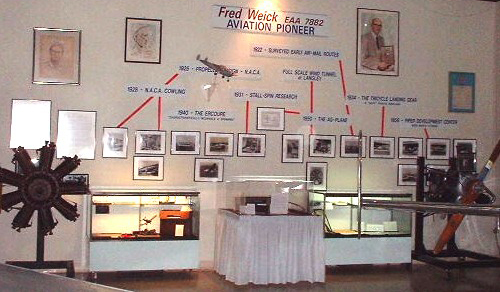 Chapter 99 donated the Fred Weick memorabilia, which has been in the care of the chapter since 2009, to the Piper Museum in Lock Haven, Pennsylvania. Representatives of the museum were thrilled at being given the opportunity to recognize Fred Weick’s important contributions to general aviation, and to Piper Aircraft. Vero Beach Air Show was organized and held by the three local Exchange Clubs. A second big Air Show was lined up for May 2014 right after the show in October. Since Vero Beach Airport can only support one big aviation event per year, Chapter 99 had no other choice than cancelling Aviation Day 2014. Membership count: 35. Chapter 99 organized Aviation Day 2015 and successfully combined the event with a visit of EAA´s B-17. Under new leadership, the Chapter eased back into offering Young Eagles Flights.